Meditation is a wonderful practice, full of proven benefits. We know it is good for our health, emotional well-being, and performance. We know it reduces stress, helps us deal with anxiety, boosts positive moods, and gives us better sleep. We know it decreases the risk of several heart and brain diseases, helps with pain management, and strengthens self-esteem. In my years of teaching meditation, researching and writing about it, I have seen many people struggle with this. It was painful for me to watch, because as a long-term meditator I know what meditation can do for you, if you learn it well and practice it properly. In short, you need to practice meditation daily, with the optimal technique and approach, and then apply the skills you got from meditation into your daily life. It is like any other skill you want to acquire. Let’s now unpack what each of these three elements mean. Meditation is not like physical exercise, that you can get away with practicing only two or three times a week. It’s actually the sort of thing that you need to do daily—just like eating, sleeping, and brushing your teeth. It’s in that category of activities. Because you are exposed to stress on a daily basis. Because your mind may be bogging you down with negative thoughts and attachments on a daily basis. Because your ego is working on a daily basis. So you need to meditate on a daily basis too. Otherwise it will be very difficult to reverse negative pattern of thoughts and emotions, and get in touch with deeper states of consciousness. Thoughts are spinning in your head non-stop, and anxiety doesn’t go on vacation. There is only one way: practice it daily. What happens if you meditate only once a week? You may do that for all the weeks of your life, but water will never boil. Because in the following week the water doesn’t continue from the temperature it was at the end of your 2 minutes; rather, it has now completely cooled down, so you are starting from zero again. The daily habit is what makes a difference between having a practice that feels good when you do it, and one that will actually transform you and your daily life. The second pillar is the right technique, and the right approach. Right technique means the technique that is most optimal for you, at this moment in your life. There are many styles of meditation, each of them with its own taste and unique benefits. The best meditation technique is the one that works best for you, at this point of your life. Maybe those practices even “work okay” for you, but until you experiment with a variety of styles, you can’t know if there isn’t a more effective technique out there for you. While most meditation techniques share a great number of common benefits, there is still a big difference between practicing a technique that works for you and practicing a technique that is optimal for you. Just like there is a big difference between an “okay job” and your ideal job, or an “okay apartment” and your ideal apartment. The bottom line here is: learn more than one style. Experiment withdifferent techniques and philosophies for some time, and see what resonates, and moves the needle for you the most. That will depend on what are your goals with meditation—so starting by clarifying those is a good idea. Purpose. Practice with intention and interest. Don’t let meditation become mechanical and boring, just something you need to “tick off your to-do list”. Pleasantness. Try to enjoy your meditation. Make it easy for you, and pleasant. This includes not criticizing, shaming or blaming yourself for getting distracted during the practice, or for not “doing it right”. Perseverance. Cultivate the commitment to continue meditating every day, no matter what. It also means to continue to learn about the practice, especially when you feel stuck. Patience. Don’t be in a hurry, and don’t expect too much too soon. Self-transformation takes time. Because it is worth it. But this process can be greatly accelerated if you do it on purpose. And this is what the third pillar is about: applying the insights and qualities that you experience in meditation to the rest of your life. It’s taking meditation beyond the cushion. There are many ways of how the application of meditation skills can happen in your life. There are many skills that come with meditation, and a whole book would not be enough to cover all of their applications. But let’s get one of them to illustrate the point: the skill of “zooming in, zooming out” (which I call one of the superpowers of meditation). During meditation, we practice zooming in and zooming out with our attention. In most styles, we are told to focus on one object—like the breath, a mantra, a visualisation, a part of your body, etc.—and to keep our attention on that object for as long as we can, going deep into it (zooming in). Like that, we practice the ability to zoom in and zoom out with our attention multiple times (dare I say hundreds of times?) whenever we meditate. That is one of the skills that come with the practice. One way is noticing when our mind is going to places we don’t want it to go. Places of fear, needless worries, and replays of traumatic memories. Places of negativity, jealousy, and ego trips. 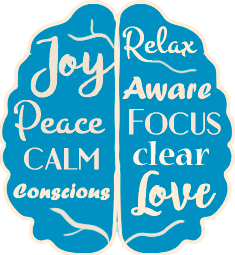 When we notice that our mind has gone there, we then have the power to zoom out from that rabbit hole, and zoom in our attention into something more useful or productive—like the sensations in the present moment, or the next step we need to take in our life. To take meditation beyond the cushion does take a bit of extra training, and pointers from a good book or skilful teacher. At its highest point, it’s about seeing your daily life as an extension of your meditation, and your meditation as the foundation of your daily life. Here is my recommendation: do what you need to do, but make sure to develop these Three Pillars, so you can have a strong meditation practice. The challenge is: very few people can develop these Three Pillars on their own. It can take a lot of effort, trial and error, study and self-discipline. Then I suggest you join the Limitless Life Membership. It was created exactly for this purpose: making the Three Pillars as easy as possible for you. And it also includes access to all my other courses.